Moffitt Corporation has been providing industrial ventilation solutions for over 55 years. 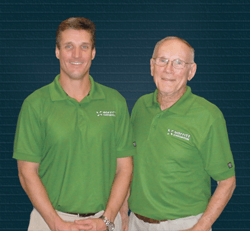 Our history stretches back to 1961 when Bill Moffitt (Pictured right, with John Moffitt) started the company with little more than some blueprints and a passion for ventilation. From a small office near Pittsburgh, Pennsylvania Moffitt Corporation provided ventilation equipment to steel mills and foundries all around the Northeast. 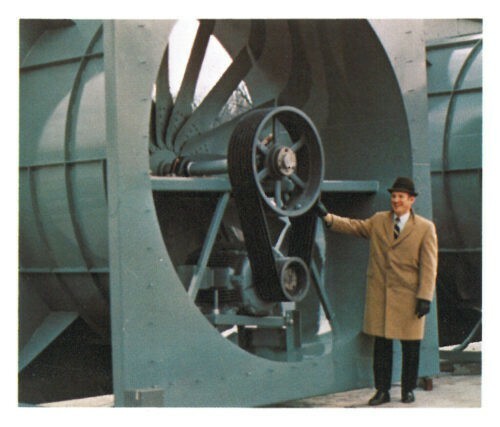 Moffitt Corporation was known for its Gravity Ventilators and its superior industrial ventilation service. In the early 1980s, Moffitt Corporation relocated to Jacksonville, FL. At this new location, Bill expanded the product line to include powered ventilation equipment. Moffitt opened its first factory in Le Roy, NY in 1993. This 50,000 ft² was founded to manufacture all of Moffitt Corporation's ventilation equipment and accessories. With an expert manufacturing team, the factory allowed Moffitt to catch up with the demand of the booming industrial market of the 1990s. 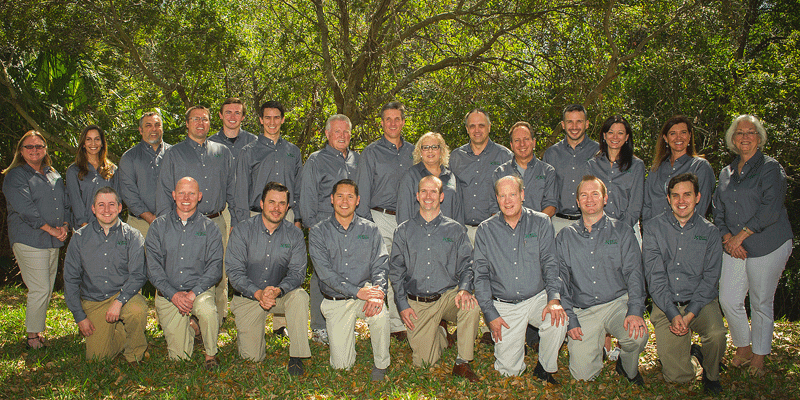 Moffitt began to offer ventilation contracting services in 2005 with the founding of Moffitt Mechanical. This enabled Moffitt to offer complete turn-key installation services and become a one-stop-shop for ventilation. A steady footing in production and installation allowed Moffitt to refocus on market expansion throughout the U.S. by establishing a system of Regional Sales Managers and local field offices throughout the country. Moffitt then continued to expand by expanding around the world with partners like Colt International. Over the years, Moffitt Corporation has grown from a one-man operation in the Northeastern U.S. to a large company with team members around the globe. What used to be called Gravity Ventilators are now called Natural Ventilators, and new technologies like CFD modeling allow for more precise and more effective ventilation systems. The company is now led by John Moffitt, Bill's son, who carries on his father's legacy as President. John has inherited Bill's passion for industrial ventilation and dedication to ensure that the customer is completely satisfied. John leads Moffitt Corporation from the corporate headquarters in Jacksonville Beach, FL. He continues to spread the message of natural ventilation and environmentally friendly natural solutions. That is why we've been Ventilation's Natural Solution since 1961.